Shirdi Sai Baba Stories,Leelas and Teachings. : Ram Vijaya-Chapter 12. Rama knew that Purusharam would come and fight with him on account of the dhanusha he had broken ; and, therefore, he did not like to stay any longer at Mithila. But at the request of his father-in-law he stayed there for a few days more. In the meantime, Narada went to Purusharam and told him that a man called Rama had broken his dhanusha. He was greatly enraged at this news ; and having come to MithiJa, he kicked up a great row about the dhanusha. sharam, knowing that his incarnation was over, laid down his arms and weapons, when Rama came down and embraced him heartily. Soon after, Dasharatha, accompanied by his wives and sons, returned to Ayodya with exultation and joy. The king had invited to the marriage of Rama his brother-in- law, Sangramajit, who requested the former to send Bharat and Shatrughana to spend a few days with" him. Dasaratha bade his sons go with him, though they were unwilling to part with his brothers, Rama and Lakshuman even for a single moment. Kayakayi pressed her sons to go with her brother ; and they accordingly went with him. 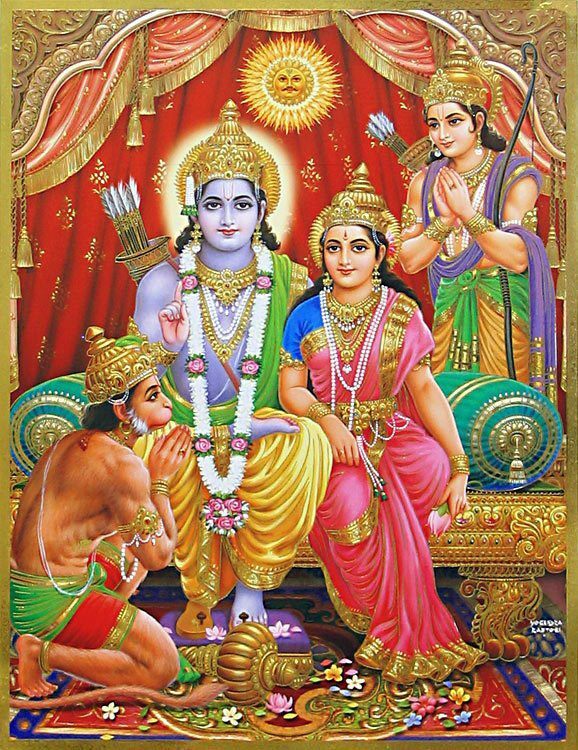 Rama and Lakshuman were very obedient to their parents and served them with all their heart and soul. 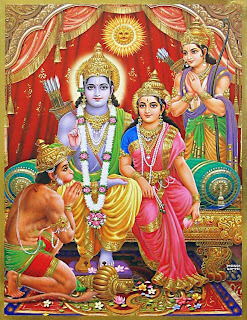 One day the king looking to his old age, made up his mind to install Rama in the throne of Ayodya. He made every preparation to perform the ceremony of installation and invited to it all the kings and Rishis on earth. All the gods and Brahmans were afraid that if Rama was installed in the throne of Ayodya, he would not go to Lanka and relieve them from the oppression of the demons.